​Fulham's Aboubakar Kamara was arrested at the club's training ground during the week and a newspaper report emerged on Thursday explaining that the incident was sparked by the player's dismay at being fined for failing to report to training. 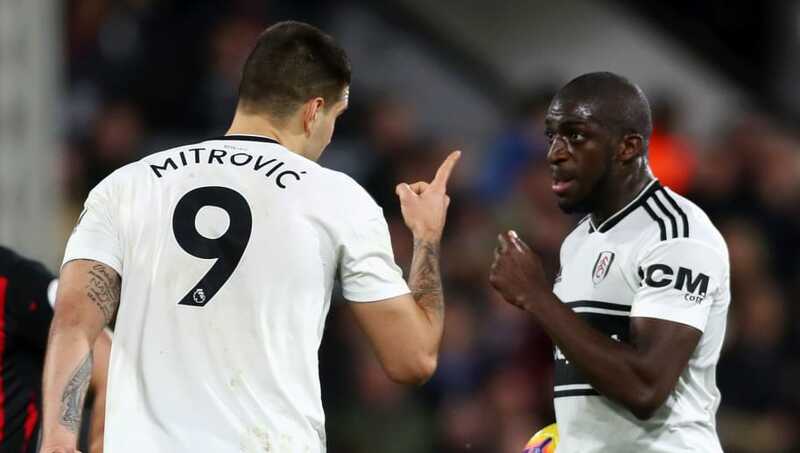 In what has been a mad few weeks for Fulham and the striker, the first controversy surrounding the 23-year-old emerged when he took a penalty from established taker Aleksandar Mitrovic against Huddersfield in December and subsequently missed, sparking ​outrage from manager Claudio Ranieri. Mitrovic spared Kamara's blushes when he scored a stoppage time winner, telling the press after the game that there were no hard feelings between himself and Kamara, but reports soon emerged of a confrontation between the pair at the club's training ground shortly after. In a story that goes from bad to worse as far as the forward is concerned, in a separate incident, he was ​arrested on Monday on suspicion of 'actual bodily harm' on a staff member, and an update on Thursday from the ​Mail alleges that the staff member in question was in fact a security guard. The claim is that Kamara was fined for failing to show up to training with the club's Under-23 side, having been banished from first team involvement by Ranieri, and was incensed as a result, confronting chief executive Alistair Macintosh. Police were reportedly called after a fight between Kamara and a security guard, leading to the player's arrest, and subsequent banning from all activities relating to ​Fulham FC. It's thought that he has been told to find a new club just 18 months after his £5m move from Amiens, having made 13 ​Premier League appearances so far this season.